When it comes time to sell your home, there is nothing worse than waiting for someone to make an offer on your home. With the housing market continually fluctuating, it can be difficult to gauge the best time to sell your home, which can be a big financial problem. When a house sits too long on the market, not only does its value decrease, usually the seller has already bought another home and is now making concurrent mortgage payments. Pricing a home too high can drive potential buyers away. While many homeowners believe pricing it high is a great strategy, it is in fact a big turn off. Many potential buyers will not even bother looking at the home if it is priced out of their range. And, the longer it sits on the market, buyers will question what’s wrong with the home, and will usually offer a low ball price. A better strategy is to price the house either right at its appraisal value, or a little less than the property’s worth. While it seems to be a gamble to undervalue the property, this technique drives buyers in and usually results in a bidding war. -2. The neighborhood now appears unsafe to potential buyers. Investing in a home security system will help to deter burglars from breaking into your property. Check out http://1stchoicehomesecurity.com in order to find the best security deal for your needs. There is a fine line between updating your home and over upgrading it. When it comes to renovating your home for resale, make changes that will generate a large return investment rather than expensive changes that don’t offer a high return investment for immediate sale. For example, updating the kitchen and the bathrooms are two of the best renovations in terms of resale value. Buyers are more likely to pay big bucks for an updated kitchen and bathroom because it not only looks expensive and modern, it also means the home is move-in ready. Curb appeal, fresh paint, and new appliances also yield a nice return investment. Avoid home renovations that are taste specific, such as converting the garage or a bedroom into an office or media room. The average buyer wants as many bedrooms as possible as well as a garage. An excellent way to make your home more appealing is to offer buyers things or terms to sweeten the deal. Offer a couple thousand dollars toward closing costs, or offer to pay closing costs entirely. Many buyers will be extremely interested in a home that offers them amenities others do not. We are thinking of moving and selling our house but we do have to do a lot of renovation before we can sell. How I wish I have a house to sell. 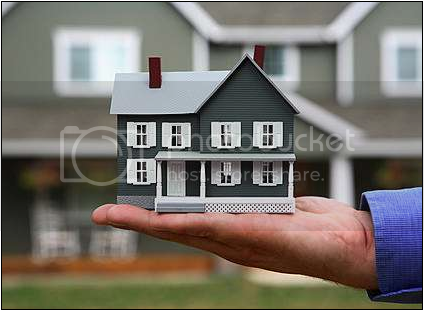 Nevertheless, your tips will come in very handy to those thinking of selling a house. I need these tips as we have a house in Tanza, Cavite that we want to sell. Thanks for sharing. I hope to implement these ideas soon.